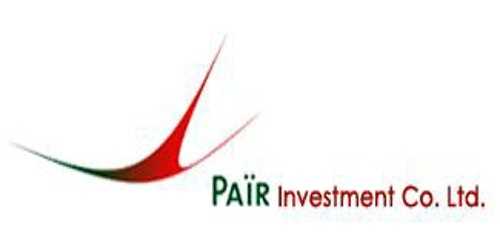 It is a broadly described annual report of PAΪR Investment Company Limited in the year of 2015. During the financial year, Total Assets of the Company at PKR 23.221 billion (December 2014: PKR 18.744 billion) which was an increase of 24%. The share capital of the company stood at Rs. 6,000,000 billion. The Company earned Profit before tax for the year Rs. 923.331 million. PAΪR Investment has reported a Profit after Tax of Rs. 597,414 million for the year ended 31st December 2015. Earnings per share were Rs. 1.00 in FY 2015 as compared to Rs. 0.59 in FY 2014.